Cash or money order in the amount of $75.00. Complete the USA Boxing application at the Gene Lewis Boxing Club, located at 59 E. Broadway, along with the three (3) required items above. After a short period you will receive you pass book and you will be registered to train at the gym. If you have any questions call (480) 834-1216. Gym hours are 4:30PM - 7:00PM Monday - Friday. Dos fotografia del tamano del pasaporte. Copia de Acta de Nacimiento del participante. La tasa de registro de $75.00 en forma de giro. Gene Lewis Boxing Club, Inc. presents the 43rd Annual Gene Lewis Invitational Boxing Tournament. We advise all participants to stay at our partner hotel, the Days Hotel in Mesa; it's nearby and has special rates for participants. To promote decency and prevent delinquency through services geared to providing behavioral guidance and the promotion of health, social, educational, vocational and character development of boys and girls. The Gene Lewis Boxing Club serves boys and girls of all walks of life, including boys and girls from broken homes, from highest to the lowest income and youngsters in need of guidance and understanding. We take pride in providing our athletes direction, acceptance, encouragement and friendship. We are dedicated to helping the boys and girls in the community by re-directing their energies towards constructive activities. In addition, we provide counseling and guidance in a way that leads to good citizenship and high standards of juvenile conduct. 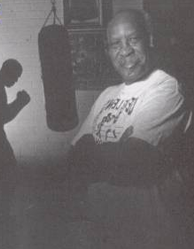 View the Associated Press piece on the Gene Lewis Boxing Club here. Website Design by WEB-OP Inc.